The Italian Riviera is one of my favorite places on earth. 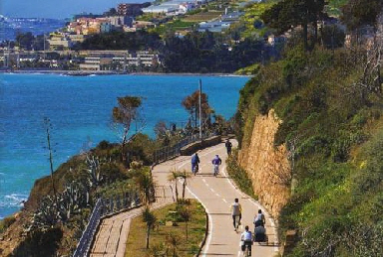 Beginning from Genoa and running south along the coastline to Portovenere, small towns along the way are a delight to explore. 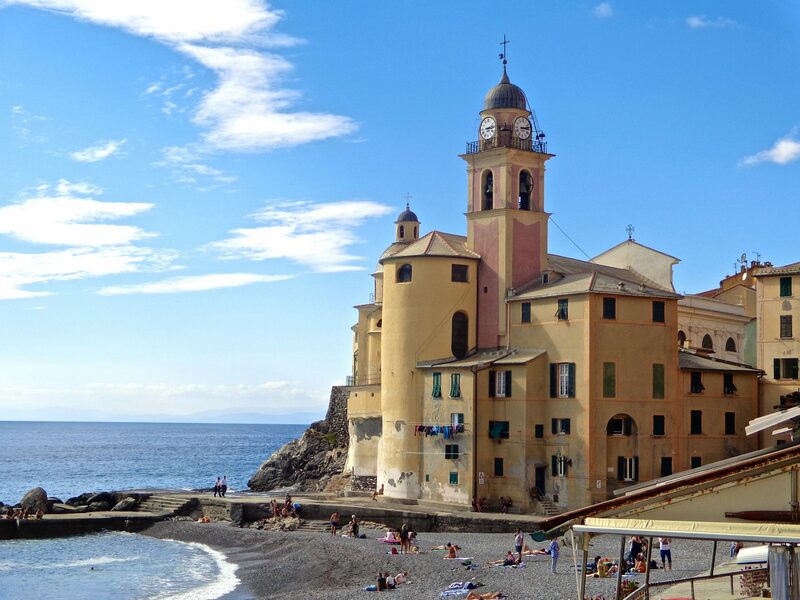 Camogli, Nervi and Santa Margherita are a few of the exceptional little villages that delight and charm. But they have another unique attraction that is most outstanding. Many of their houses and villas are painted with gorgeous exterior decoration. Caught up in this fascination with illusion, I spent a good amount of time seeking them out. While walking through the maze of streets in these villages just this last September, several tall narrow houses caught my eye as being especially ornate. When I looked closer I was stunned to realize that some of the upper story windows were actually painted-on. Other houses had painted-on shutters, window frames, fancy stencil work around windows and even flowering window boxes. I had never seen anything like this before, and so I needed to investigate. I researched further and found that corner stones were often painted-on where there weren’t any, washing lines full of clothes and even birds nests up high near the roof. Unbelievable, yet so detailed that it was difficult to tell what was real. There are interesting historical ways of thinking in these communities that have made a tradition of decorative illusionism. 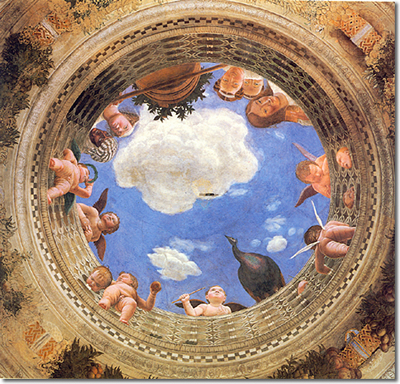 Since the Renaissance, painted illusions creating optical tricks were popular especially in northern Italy. 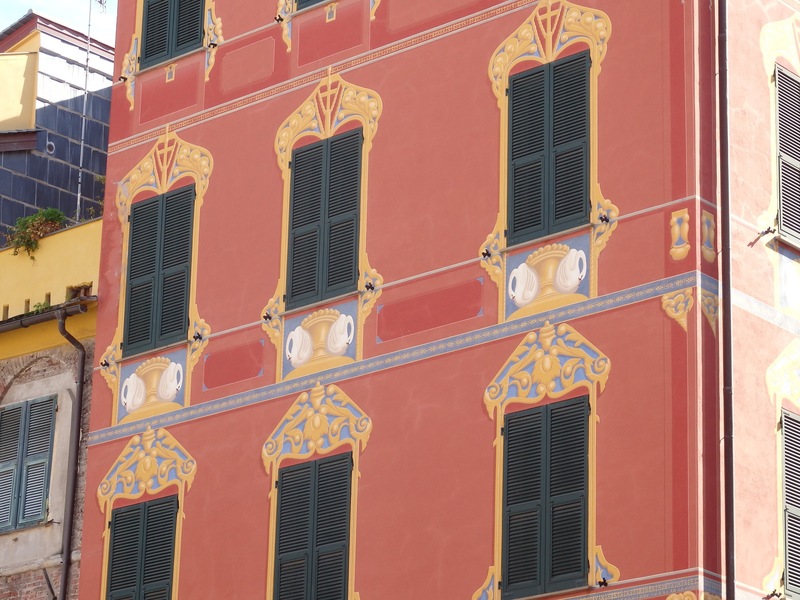 The Ligurians in particular used cosmetic exterior decoration on their facades to create an illusion of beauty. 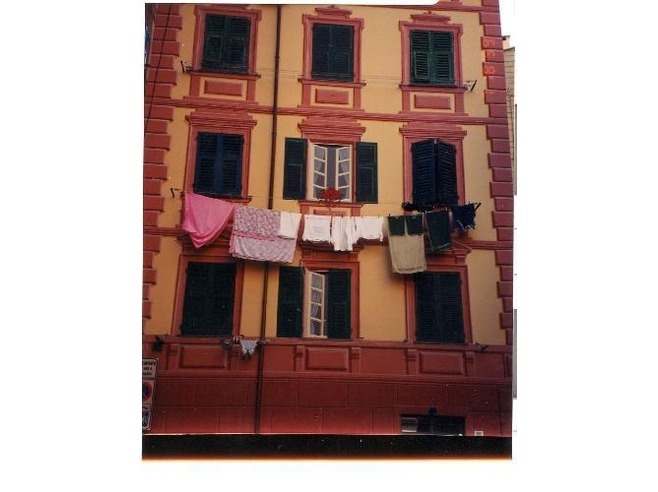 Many of the houses in Liguria were built tall and narrow because of space restrictions. Several share exterior walls and remain attached in a continuous line. 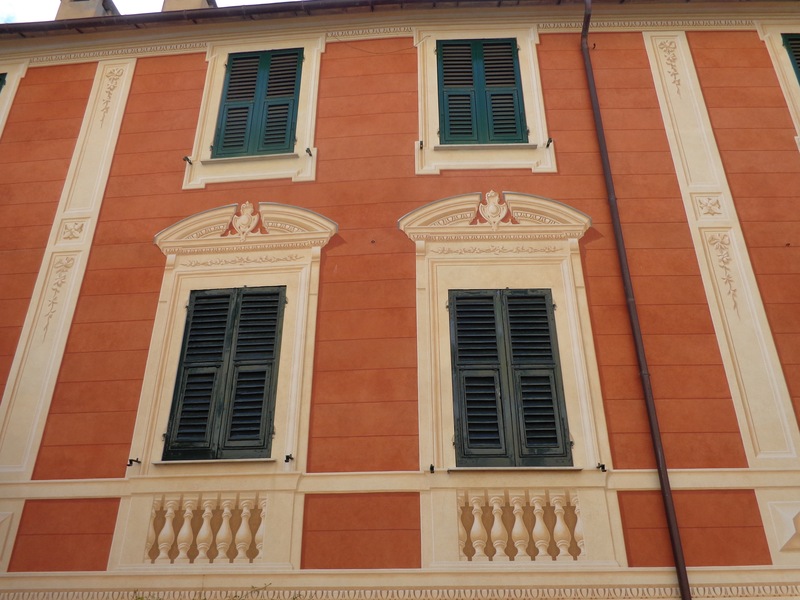 But the Ligurians have a reputation of being a pragmatic people, so by painting on windows, shutters and all kinds of adornments, they were able to dress up their homes without the added cost. They knew just how to dazzle the eye with charming appeal by elegant artistry. This top row of windows could be painted-on. The use of shading created incredible 3-D effects that makes it difficult to know for sure. 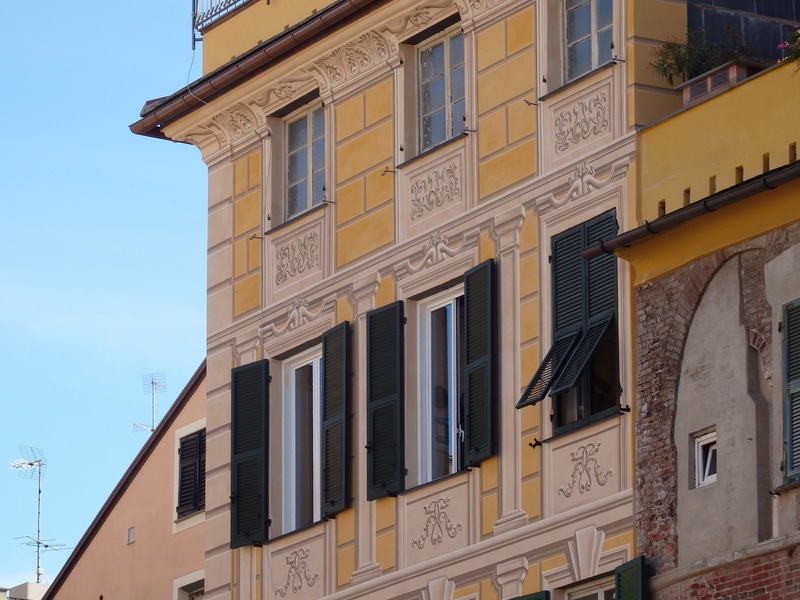 embellished windows that delight the eye–are the top shutters real? I suspect not. Notice the painted balustrade below the windows. It’s not unusual to see painted garlands gently hanging below a roofline, colorful ribbons over doorways, arches, porticoes, and curlicues. Like a blank canvas, the houses were bedecked and embroidered in the most attractive styles. I never saw two that looked just alike. 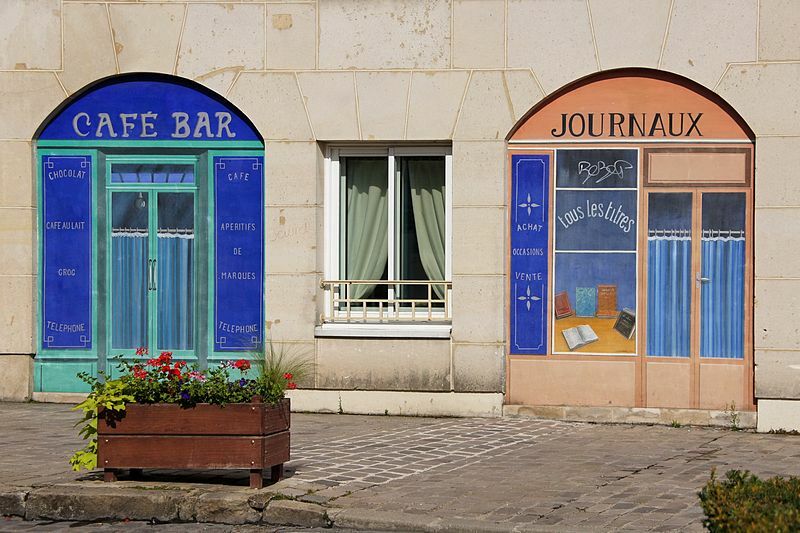 Evidently trompe l’oeil was first used by the ancient Greeks and then by Roman muralists. During the early Renaissance, false frames were painted depicting still life or portraits spilling out of them, and window-like images were painted on walls and ceilings that appear as actual openings. These two paintings, for example, depict the same effect as the house facades do. By using innovative painting techniques, a flat surface comes to life by creating a sense of depth, and the eye is tricked. Notice the little cherubs standing on the rim and the faces gazing downward. The bucket balancing on the pole is very effective. 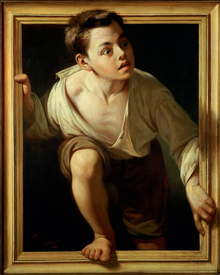 Even the frame is painted to complete this visual effect of the boy crawling out of the frame. 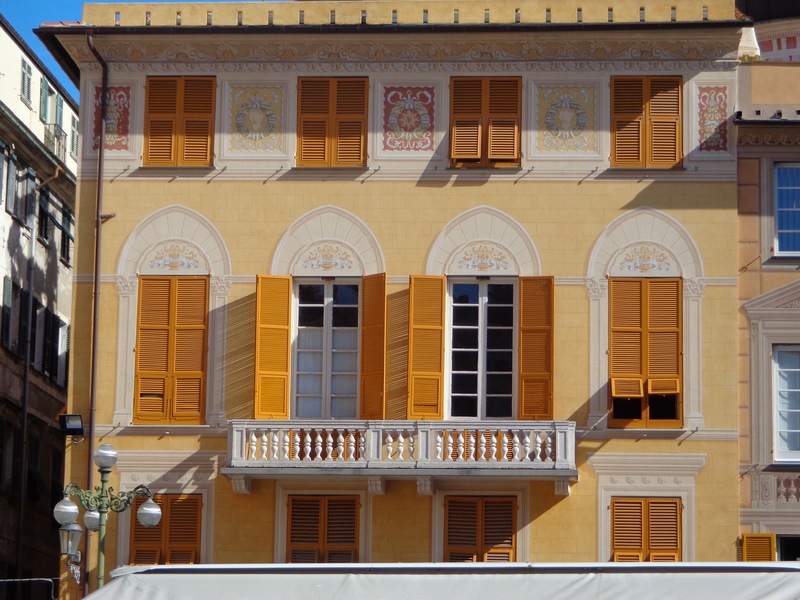 By looking at these examples of trompe l’oeil, it begins to explain how these house facades particular to the Italian Riviera are achievable. 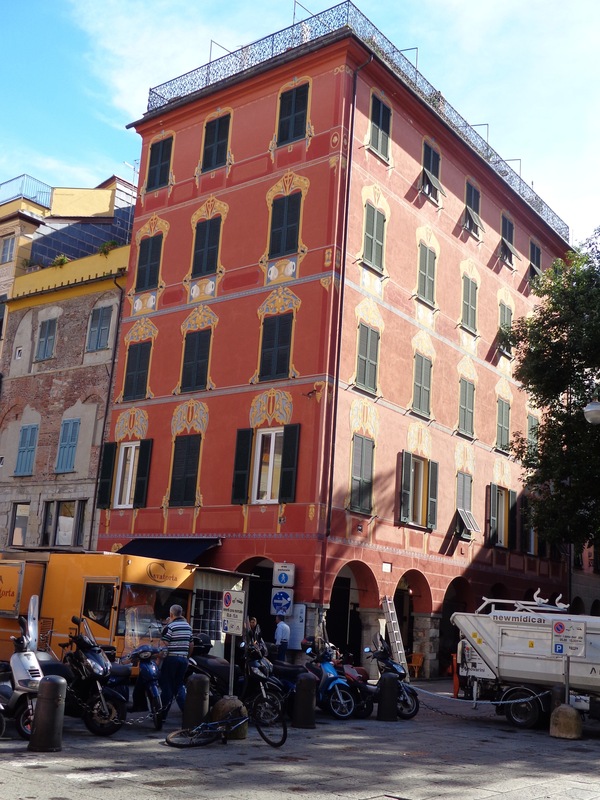 To this day, as I re-visit Camogli and the other surrounding villages on the Riviera, I gravitate to any charming house gaily decorated and take a closer look. And sure enough, those painted-on windows, cornerstones, curlicues and embellishments are truly exquisite. Building front with painted-on shop doors and windows- This photo is NOT of a building in Camogli, but in Paris. However, it is a great example of embellishment that looks real. Imagine a tiny pristine cove with clear blue waters surrounded by exotic treasures only reachable by foot or boat. A small pebbly swimming beach stretches out between an old medieval abbey and the shimmering Mediterranean sea, with a quaint restaurant to the side serving cool drinks and delicious meals. Heavenly? 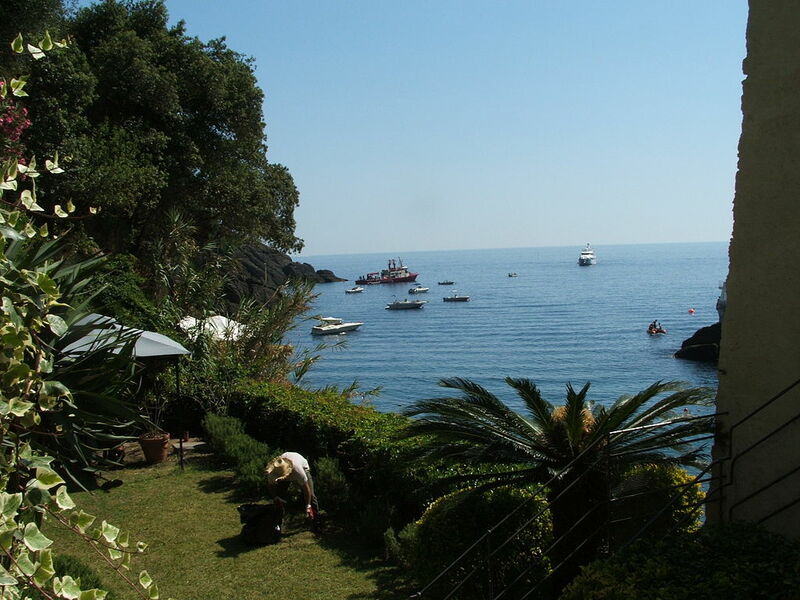 San Fruttuoso, near Portofino in Liguria, is where you will find this enchanting cove. Surrounded by the National Park of Portofino, hiking trails that hug the coastline and offer breathtaking views wind between Camogli and San Fruttuoso. Reachable only by foot or boat, it is well worth the effort. But if you travel by foot, allow yourself an hour and a half minimum. It’s a fantastic hiking opportunity with a lot of surrounding coastal beauty. 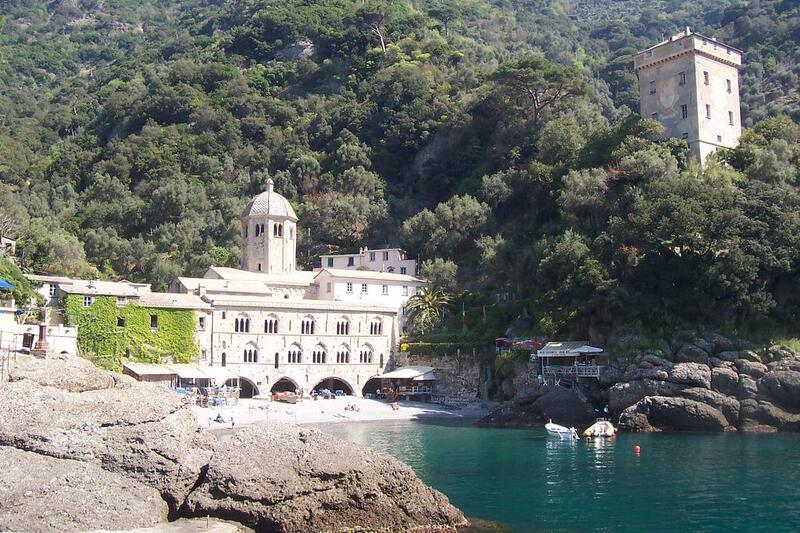 One of San Fruttuoso’s treasures, the ancient Benedictine Abbey, looms at the back of the beach and straddles the sand. A great slope covered with Mediterranean pine and holm oak rise behind it, along with old olive terraces that are being gently restored by an agriturismo program. There is also a sixteenth century watch tower just a short walk away. The stone abbey with elegant dome is both medieval and romanesque in design. 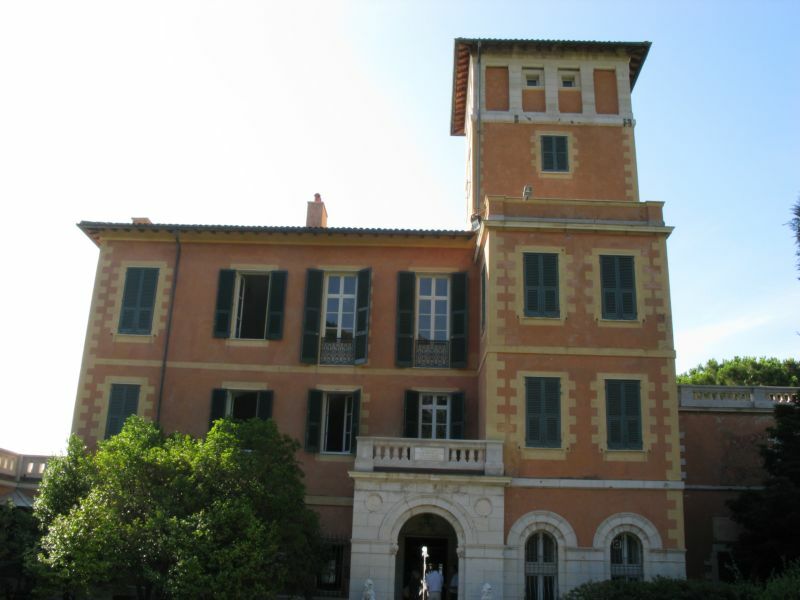 Built in the 10th century, the building has also been used as a pirates den, a humble fishermen’s home, and the residence of the prestigious Doria family of Genoa. The facade of the abbey was added in the 13th century. Originally boats moored directly underneath the arches of the abbey to unload cargo into the cellars, but more recently naturally occurring sand has built up the beach. However, you can still walk underneath the abbey and see a few boats resting on dry land. 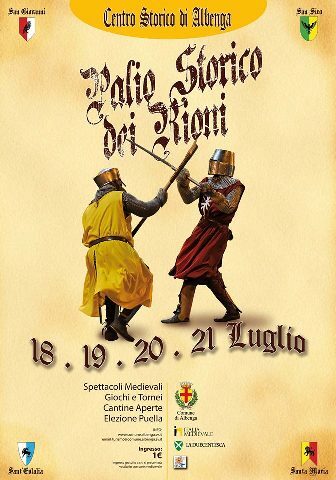 During the summer months of July and August, impressive concerts are held in the cloister of the abbey. Another treasure of San Fruttuoso, and a diver’s delight, is the bronze statue that sits on the ocean floor. Standing eight and a half feet high, Christ of the Abyss looks upward with outstretched arms. Submerged under 50 feet of water, it has become one of the most famous and popular diving sites in the world. 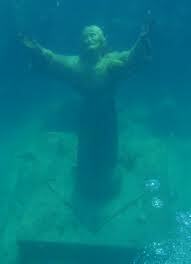 Christ of the Abyss was placed in the waters on August 22, 1954 following the 1947 death of Dario Gonzatti, one of the first divers to use SCUBA equipment in his dives. Today the bronze statue is a shrine of protection for all those in the sea. Interestingly, to make the statue, bronze was crafted from the melted down metal of ships, bells, and the medals of mariners, Olympic athletes, firefighters, and even soldiers who died in combat (donated by their mothers). Every year in July, a celebration occurs in honor of Christ of the Abyss. A late evening mass is held on the beach, followed by a procession which leads down to the water. Here an underwater procession begins toward the statue. Once reached, a laurel wreath is placed around the feet. Boats with glass bottoms run from the beach out to the statue if you don’t want to scuba dive. Another option is an exact replica of the statue viewable in the abbey. For those who want to scuba dive, there are options for excursions along the coastline. The dive around Christ of the Abyss is in predominately shallow water and fairly easy. Red coral, octopus, grouper and moray eels abound so you won’t be alone! There are no roads to San Fruttuoso, but there are well-advertised boat trips which leave several times a day from Camogli, Portofino and Santa Margherita. My suggestion is to enjoy the day by hiking the picturesque coastal path into San Fruttuoso, spend a few unique hours, and take a boat on back. A very enriching experience awaits you! Below are links to provide you with more information on hiking trails and diving.